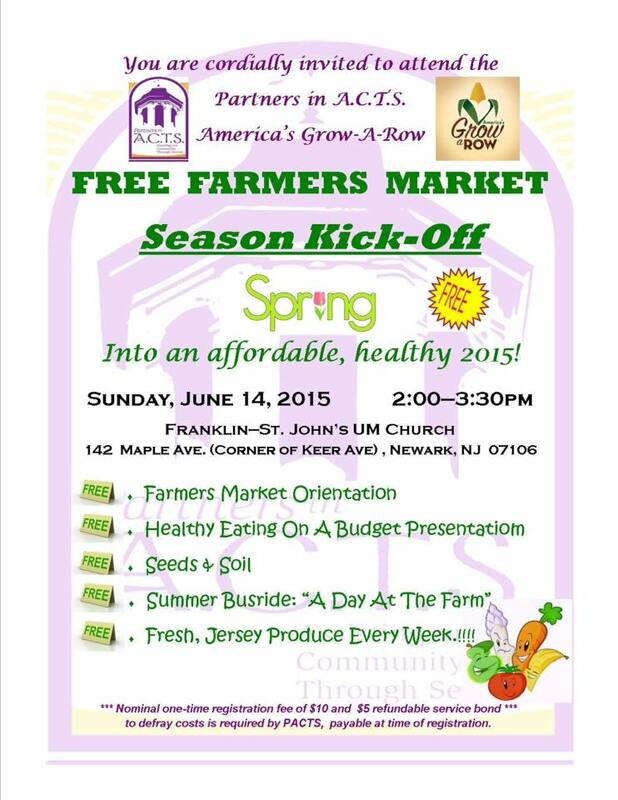 PACTS brings America’s Grow-A-Row program back to Newark this season. It’s not too late to sign up for the free veggies Farmer’s Market! Just come to the first distribution event on Saturday July 11 at 10am. Please note that the America’s Grow-A-Row program is completely free, but PACTS charges a $10 registration fee to cover the costs of administering the program. Participants are also required to put down a $5 “service” deposit. The entire $5 will be refunded if during the course of the summer, you volunteer 4 hours of service at either the market or farm.